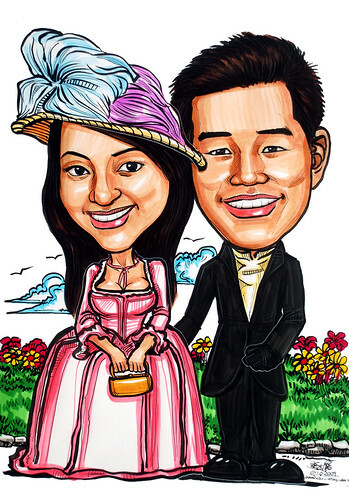 We would like you to help us draw a caricature in colour marker with theme, A3 in size for my ROM portrait. The theme will be Victorian. Basically, both the groom and bride will be dressed in Victorian suit and gown. We have seen some of your works online and they were all very nicely and interestingly done! Good job!"